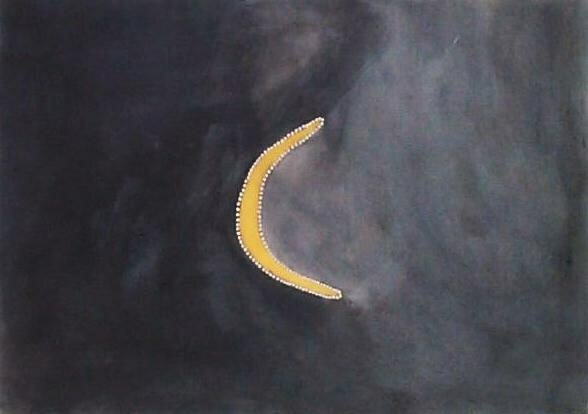 Mabel Juli is renowned for her refined black and white depiction of Garnkiny doo Wardel (Moon and Star), an important Ngarranggarni (Dreaming) story that explores forbidden love, kinship and the origins of our mortality. Mabel’s recognition as one of Australia’s most revered painters has emerged from her consistent commitment to her art practice and her remarkable storytelling. In 2013 Mabel was awarded the prestigious Kate Challis RAKA Award and was a finalist in the Fleurieu Art Prize for landscape painting. Mabel is an expert Gija speaker and her paintings articulate complex Ngarranggarni stories and document early colonial encounters from her country Darrajayin, which is covered largely by Springvale Station today. Mabel Juli was born in the early 1930s at Five Mile, near Moola Boola Station (south of Warmun). 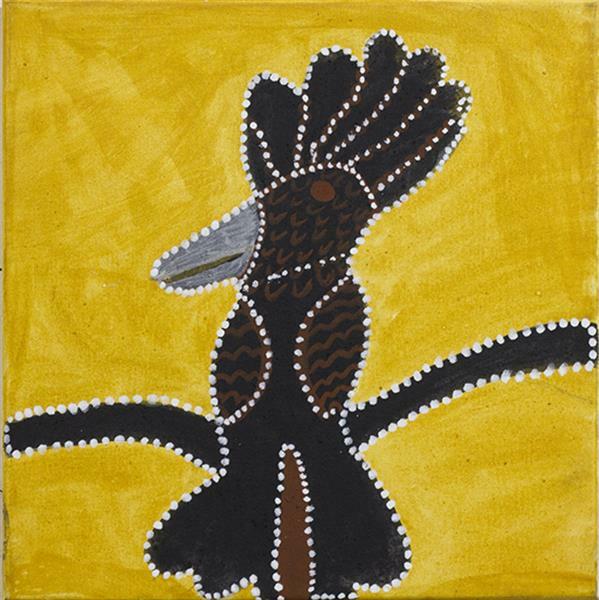 Following the end of the station era in the East Kimberley, Mabel settled in Warmun where she began painting in the 1980s under the encouragement of senior Warmun artists. As Mabel says, “I started painting when the old girl [Queenie McKenzie] was here – she was the one who taught me to paint. Watch a video about Mabel Juli’s life on cattle stations here. Listen to a radio story about Mabel Juli digging for ochre here.